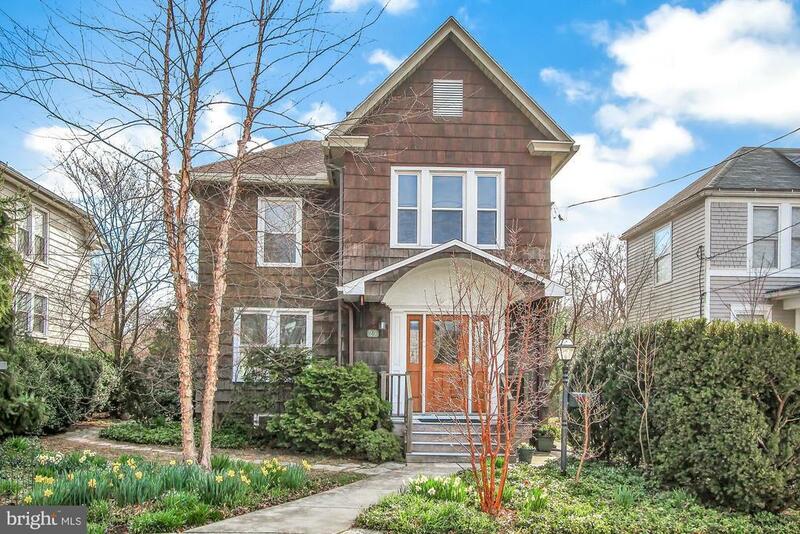 This immaculate Camp Hill Borough home is a masterpiece inside and out. From its gleaming hardwood flooring throughout, to its lush, but low maintenance landscaping, this home is a must see. We begin our tour with a delightful foyer which is perfect as a private library or board game room. Enter into the spacious living room and admire the crown molding, 8 foot ceilings, 5 foot windows and an ornate working fireplace with a granite hearth large enough for the most elaborate of decorations. Create precious memories of special occasions in the formal dining room while looking out an oversized picture window onto a fantastic view of your own country garden. Enjoy the elegantly updated kitchen complete with hardwood Brazilian Cherry flooring, granite countertops, recessed lighting and desirous gas range cooking. French doors open out onto an outdoor retreat complete with privacy, custom wrought iron fencing (front and back), by abundant greenery, 3 patios and both stone and brick walkways. Enjoy the beauty of year round botanical foliage which includes specialized hybridized ornamentals, flowering trees and well-behaved conifers. Parking is ample. Choose from a 2-car garage, an additional 2-car gravel parking area as well as on-street parking. The upstairs features 4 well-appointed bedrooms, each with crown molding, 8 1/2 foot ceilings, multiple windows making for plenty of dazzling morning daylight. One bedroom also features built-in shelving. Rounding out the home is a full, dry basement with enough storage to satisfy any homeowner and a functioning commode. Location is also a prime feature. The home is within walking distance of Camp Hill Borough schools, local upscale shopping, fine dining and a traditional coffee house. This home is truly a joy to show!